Travelling to paris for work, where to sleep, feel right at home! 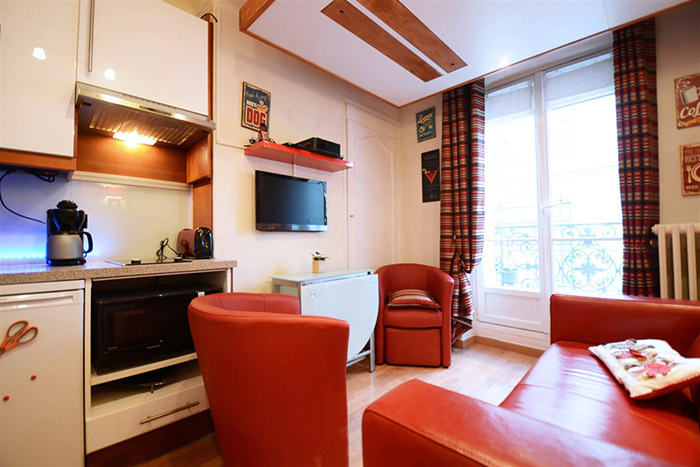 If you’re planning a trip to Paris for business, you’ll be pleased to know that Friendly Rentals has a range of monthly apartments, so you can feel right at home while you’re away. At Friendly Rentals we have 14 years’ experience managing short- and medium-term holiday rentals. Our comfortable apartments are in the best locations at unbeatable prices. Want to hear more? Paris stands out from all other European capitals thanks to the huge number of business opportunities on offer. For over 20 years it has been the world capital for internationally acclaimed congresses, fairs, shows and seminars. It is the ideal city for making professional contacts and holding business meetings in some of the most modern spaces in Europe. Every year it welcomes more and more tourists and new residents. If you’re planning to live in Paris for a while for business, we’ve got the ideal solution for you. Friendly Rentals offers you the opportunity to rent one of our top apartments in Paris for between 1 and 4 months. It’s the perfect option if you’ll be in the French capital for a few months and would welcome the comfort of a long-term apartment. • Monge Notre Dame apartment: This welcoming apartment is in the unbeatable Saint Germain neighbourhood! This bohemian district is full of literary cafes and top restaurants and is only 50 metres from the banks of the Seine. 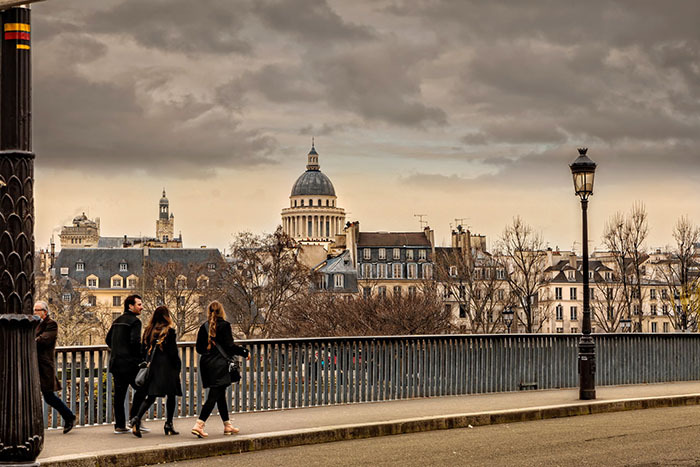 In addition, Notre-Dame Cathedral, the Louvre, the Orsay Museum and the historic city centre are all close by, so you won’t get bored on your days off! The apartment can sleep 4 and has two double beds, bathroom with power shower and a balcony that runs from the living room to the bedroom, perfect for an open-air breakfast to start your day with a spring in your step. • Panoramic apartment: Simply wonderful! 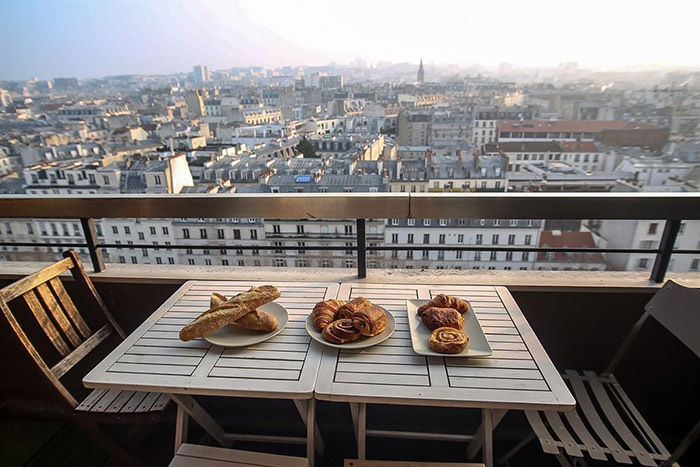 If you want to rent one of the apartments with the best views in Paris, now’s your chance. The bedroom balcony boasts great views of the Eiffel Tower. It’s also ideal if you’ll be travelling with a group: this 93 m² apartment can sleep 6 and has one bedroom with double bunkbeds, a main bedroom with a double bed and a comfortable double sofa bed for guests, as well as 2 bathrooms and a fully equipped open-plan kitchen. It is only a 5-minute walk from Marais, very close to the heart of the historic city centre and to the Oberkampf neighbourhood, which makes it great for work meetings. The area is also home to some of the coolest places in the city. Would you be in Paris only for a few days? But you need to sleep in Paris business centre? • La Defense U Arena 1 studio apartment: Once you’ve discovered this apartment, you won’t want to let it go! Very comfortable, and flooded with light, this apartment has 1 bathroom, 1 bedroom, a sofa bed and a separate kitchen where you can cook lovely French food. It is located in the heart of La Défense, with direct connection to the Louvre Museum, the Champs-Élysées and the beautiful district of Le Marais. Also you will enjoy the open views of the surrounding area! You’ll find many more apartments on our website. Choose your favourite and enjoy your stay! If you’re interested in renting an apartment, but want to know more, don’t hesitate to contact our Paris agent, Caroline Adba: caroline@friendlyrentals.com (+33 628 21 67 26). She will be delighted to handle all your queries and help you choose the perfect apartment for you!